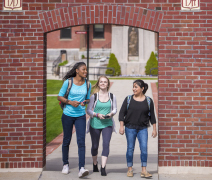 There is little else like it: a small, caring college that bridges the leap between high school and university by offering four- and two-year degrees on a charming New England campus, guided by an unusually passionate and supportive faculty—proof that success isn’t necessarily determined by selectivity or rankings. 96% of Bachelor’s graduates are Employed or in Graduate School within 12 Months. 95% of Accepted Students Receive Merit Scholarships. 98% of Our Associate Degree Students Are Accepted As Transfer Students In Their Bachelor’s Degree Program Of Choice. 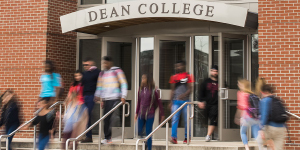 For over 150 years, students have been coming to Dean College for a more personal, more fostering kind of education. Alumni all over the country repeatedly point to their Dean experience as the turning point in their lives. They received the encouragement, opportunities, and shots at leadership that are often out of reach at other colleges. Today our academic programs all start with a strong foundation in the liberal arts. Dean offers 17 baccalaureate degrees in Arts and Entertainment Management, Business Management, Coaching and Recreation, Communications, Criminal Justice and Homeland Security Management, Dance, English, Entertainment Industry Management, Exercise Science, History, Liberal Arts and Studies, Marketing, Psychology, Sociology, Sports Broadcasting, Sport Management, and Theatre. 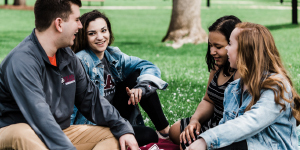 Or students may choose to pursue an associate degree in any of 20 different areas, including applied programs such as Communications, Criminal Justice, Early Childhood Education, Health Sciences, and Sport Management as well as liberal studies options like English, History, and Psychology. Add in extensive internship and study abroad offerings, unmatched learning support services, and opportunities to double-major or pick up a minor, and the difference is clear. This flexible approach allows our students to achieve their goals or find their paths. The results speak for themselves: 96% of baccalaureate degree recipients are employed or enrolled in graduate school within 12 months of graduation, and an astonishing 98% of our associate degree graduates are accepted to four-year schools (including some of the most selective in the country). That’s a tremendous return on investment. In short, Dean offers everything: a safe residential campus, athletic programs, vibrant clubs and activities, state-of-the-art facilities, a full menu of financial assistance (including generous scholarships and grants), and a dedicated faculty and staff—all this within an atmosphere that is a little more patient and a lot more nurturing. When you’re ready to tackle life successfully, we’ll prepare you for what’s next.